Speaking in Brussels today, U.S. Secretary of State Mike Pompeo unwittingly underscored why nobody takes the United States seriously on the international stage. 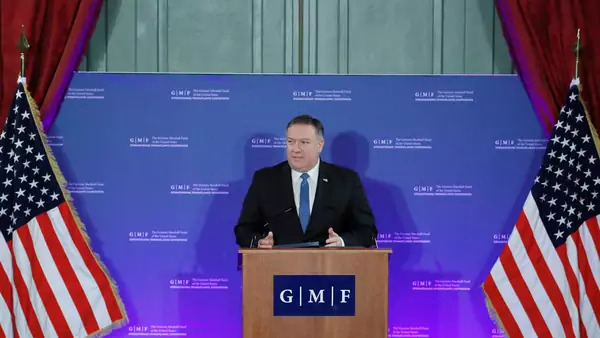 In a disingenuous speech at the German Marshall Fund, Pompeo depicted the transactional and hypernationalist Trump administration as “rallying the noble nations of the world to build a new liberal order.” He did so while launching gratuitous attacks on the European Union, United Nations, World Bank, and International Monetary Fund (IMF)—pillars of the existing postwar order the United States did so much to create. He remained silent, naturally, on the body blows that the current administration has delivered to its erstwhile allies and partners, and to the institutions that once upon a time permitted the United States to legitimate rather than squander its international leadership. Pompeo also aims his blunderbuss at the United Nations. He complains that the United Nations' “peacekeeping missions drag on for decades, no closer to peace,” ignoring the indispensable role that blue helmets play in preventing atrocities, as well as a recent Government Accountability Office report documenting how cost-effective such operations are compared to U.S. troops. Similarly, Pompeo claims, “The UN’s climate-related treaties are viewed by some nations simply as a vehicle to redistribute wealth”—an accusation that is both unsubstantiated and ignores the urgent need to mobilize global climate financing to save the planet.